The latest iPad app from Readdle, a company famous for its excellent productivity apps for iOS, has perfected PDF annotation and note taking on a touchscreen device. 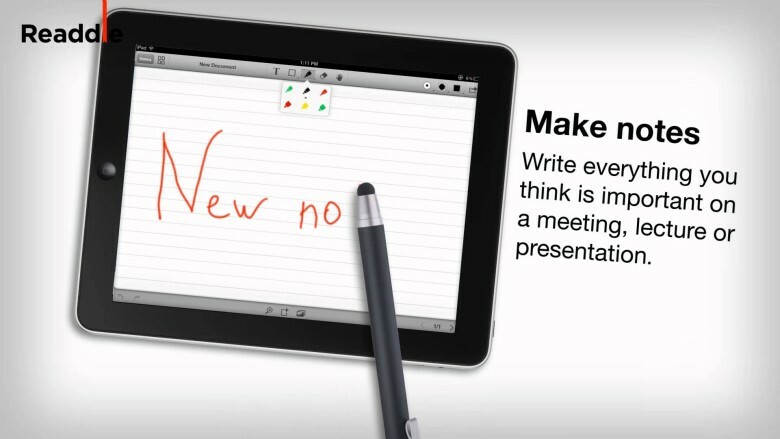 It’s called Remarks, and it allows you to write and draw on PDF documents, outline notes in class or in the office, and sketch new ideas with your fingertip or a stylus. Like all of Readdle’s apps, Remarks has been designed to provide a fantastic user experience. It sports a clean and simple interface which packs a whole host of great features. You can choose from a selection of pens, highlighters, text boxes, and shapes to capture your ideas and outline notes, or to make sketches and drawings. You can annotate documents imported from Dropbox, Box, mobile Safari and other iPad apps. And all the notes and sketches you create can be exported as PDFs, so it’s easy to view, edit, and print them on your computer. Remarks is available to download now from the App Store, and it’s priced at $4.99.